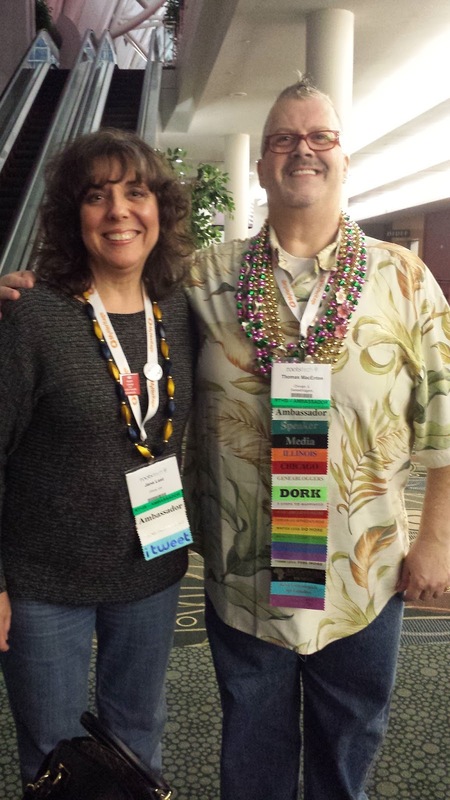 While I was at RootsTech last month, I had the wonderful opportunity to finally meet fellow genealogy bloggers and RootsTech Ambassadors in person that I've only known online. I had already met a few of these lovely people at last year's BYU Conference on Family History & Genealogy. It was great to see them again. 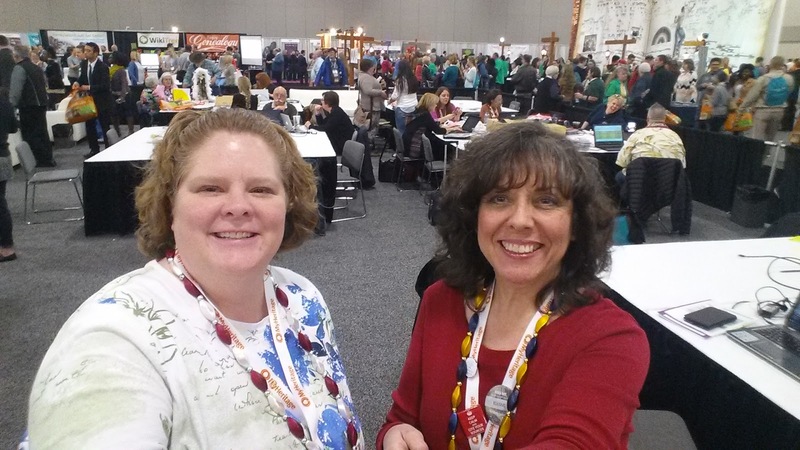 Here are some photos from our meetups at this year's RootsTech. These first two photos were taken at the Blue Lemon restaurant on Tuesday, February 2, 2016. 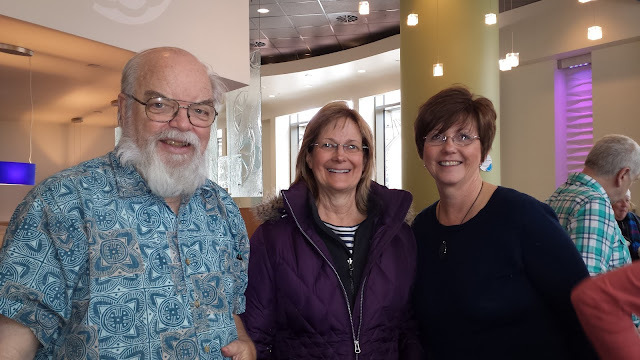 Here's a photo of Randy Seaver, author of Genea-Musings, Michelle Goodrum, author of The Turning Of Generations, and Michelle Taggart, author of A Southern Sleuth. 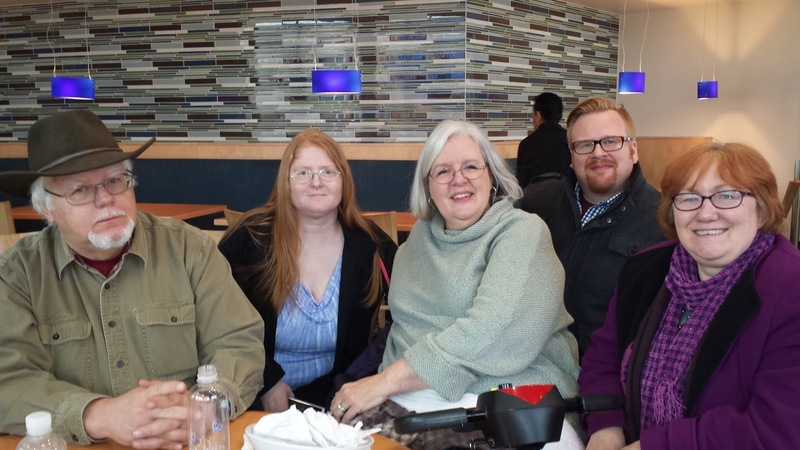 This lovely group photo includes Gordon Erickson, husband of Pat Richley-Erickson, author of the popular DearMYRTLE blog, Lana Porter, Barry Kline, and Audrey Collins. On Wednesday morning, I met up with True Lewis and Caroline Pointer at registration. True Lewis is the author of Notes to Myself and Caroline writes at 4YourFamilyStory.com. I also had the pleasure of meeting Bernice Bennet, family historian, author, and host of Blogtalkradio's Research at the National Archives and Beyond. 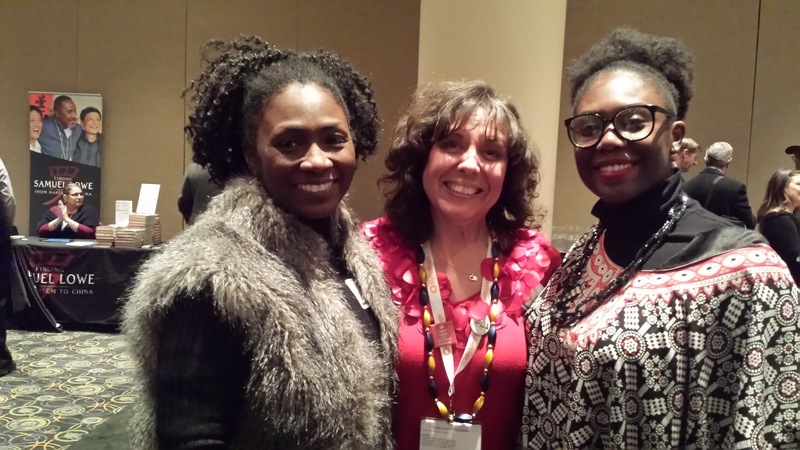 On Wednesday evening, RootsTech Ambassadors were invited to attend the Media Dinner. These next three photos are from that fun event. This lovely blogger is the other RootsTech Ambassador named Jana. Yes, there were two of us Jana's serving as Ambassadors at RootsTech. 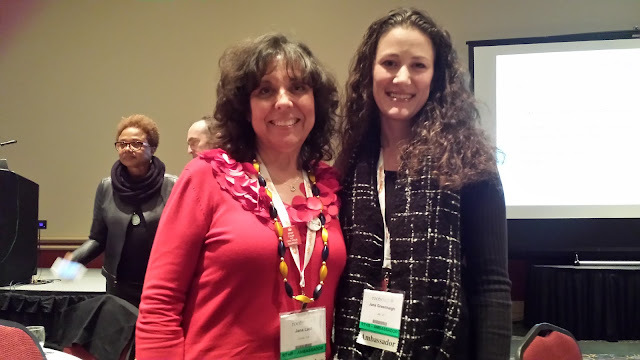 Jana isn't a very common name, so it was really fun to meet Jana Greenhalgh in person. She has a great blog called The Genealogy Kids and a YouTube channel that you can find at The Genealogy Kids YouTube Channel. 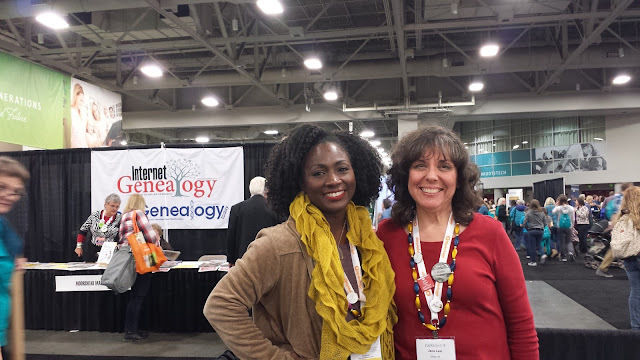 Not only do Jana and I share the same first name, and have genealogy blogs, and served as RootsTech Ambassadors this year, and have brown curly hair, there's something else we have in common. Our husbands also share the same first name. Yep! Jana's husband is named Brent and so is mine. Jana and Brent Last and Jana and Brent Greenhalgh! How fun is that!? Sorry this picture is a bit blurry, but here's a photo of Jill Ball and myself at the Media Dinner. Jill is from Australia and blogs at GeniAus. It was wonderful to finally meet her! 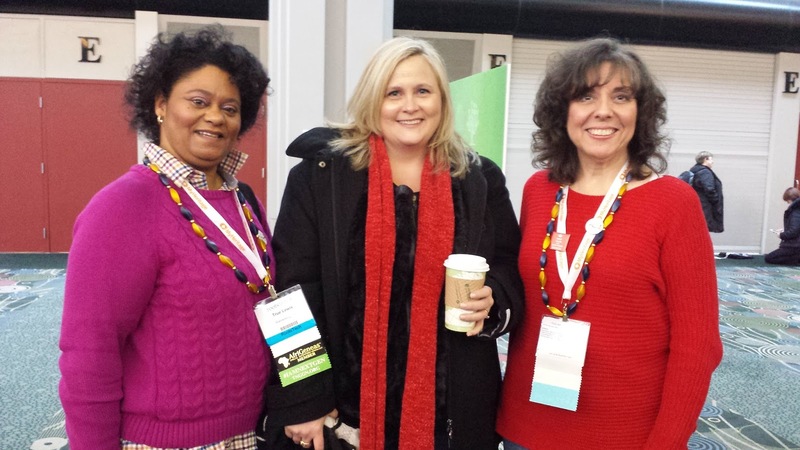 It was such a pleasure to meet fellow RootsTech Ambassadors Tamu Smith and Zandra Vranes, founders of Sistas in Zion. And here I am with Thomas MacEntee, founder of GeneaBloggers. It was so great to finally meet Thomas! I've been online friends with him for several years. He's been a great blogging mentor and kind friend. These next two photos were taken inside the Media Hub. Sorry for another blurry photo. 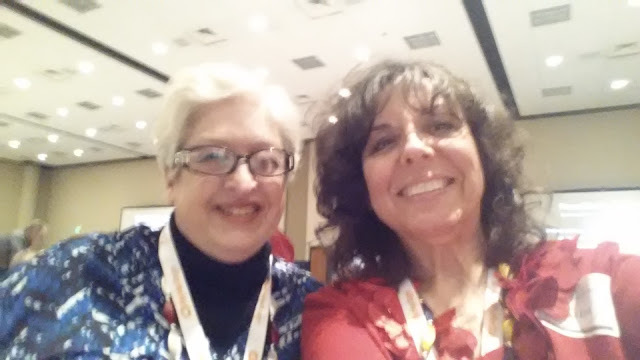 This is yours truly with Amie Tennant, fellow blogger and RootsTech Ambassador. She is the author of My Kith N Kin. 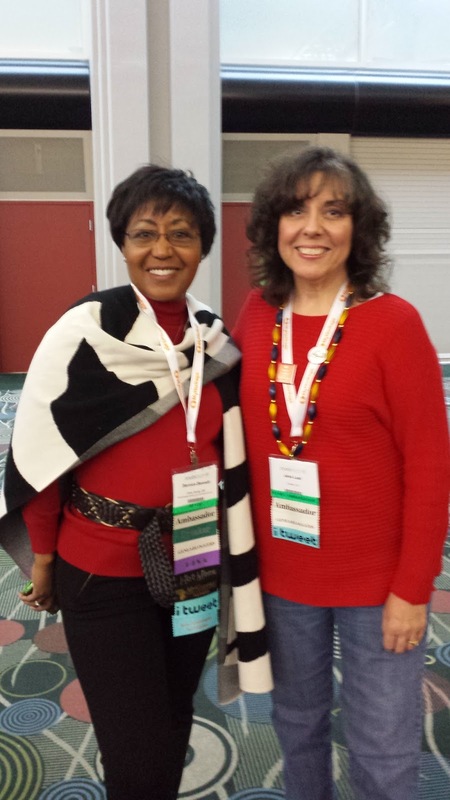 It was wonderful to meet her at RootsTech. 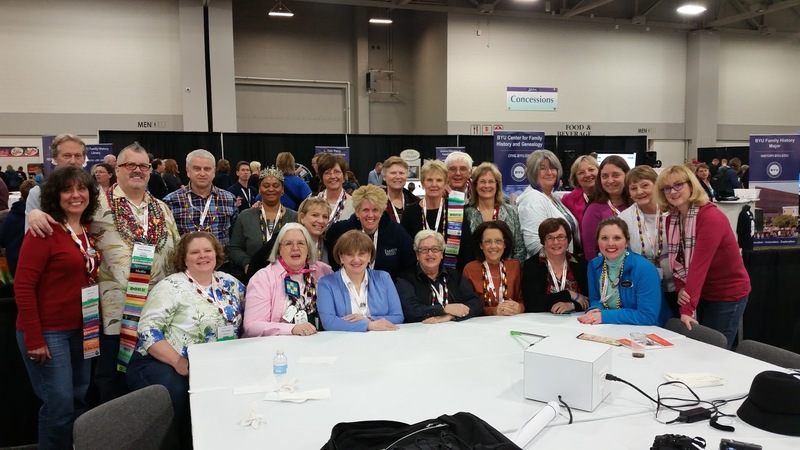 We had a great time at the RootsTech opening social and at dinner afterwards. Selfie stick time! 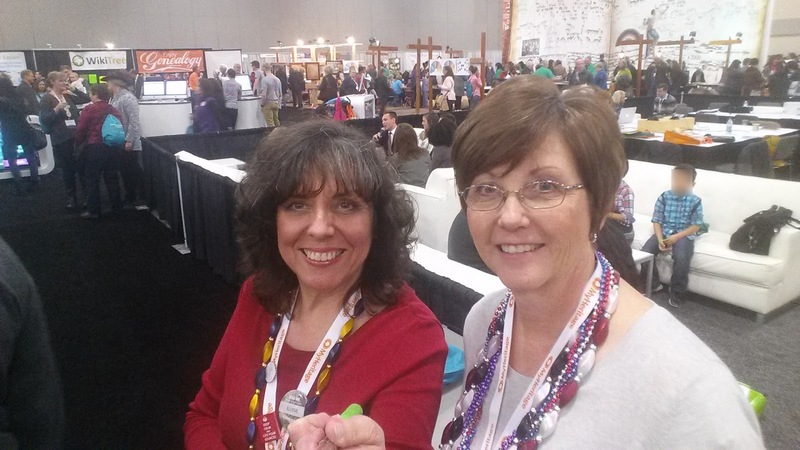 Each of the RootsTech Ambassadors received a cool selfie stick. I've never owned one before. Pretty fun stuff once you get the hang of it. 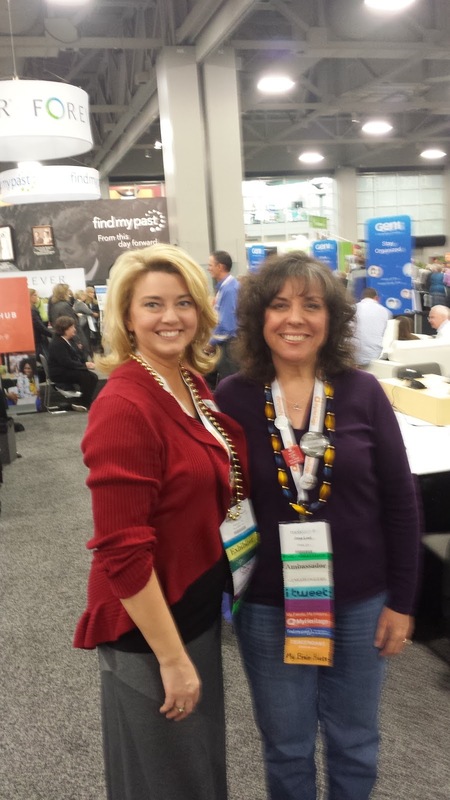 This is fellow blogger and RootsTech Ambassador, Amy Archibald and me in the Media Hub. Amy is the author of Revealing Roots and Branches. Another selfie stick photo. This was taken outside the Media Hub. I first met Michelle Taggart in person at the Blue Lemon restaurant earlier in the week. She's a sweet friend and fellow GeneaBloggers "May I Introduce To You" (MIITY) team member. Here's another photo of me with Tamu Smith, co-founder of Sistas in Zion. It was so great to meet Tamu. She and I share a family connection. We both share the same sister-in-law. Her husband's sister is married to my brother. So, her sister-in-law is also my sister-in-law. What a small world! I knew about this fun fact before RootsTech and was hoping I would meet Tamu. It really was so fun to meet so many of my fellow genealogy bloggers and RootsTech Ambassadors at RootsTech last month. Thank You Jana! I'm so glad we finally got to hang out and get to know each other in Person. It really meant a lot and I'm glad for all the chances I got to see you everyday. It was so much as a 1st Timer. I was there with you! Jana's Genealogy! Great Piece on all you experienced! Sisters of Zion! I love that story and you with the other Jana & Brent! Thanks for posting all these great pictures. Everyone must have been having fun or they were auditioning for a toothpaste commercial. What beautiful smiles! Haha! Ya, it was really fun at RootsTech! Seriously, we both need to get there at the same time some year Wendy. I'd love to meet you in person! Thanks for bringing back all of last month's fun memories! It was a pleasure to meet you, Jana (my twin)!